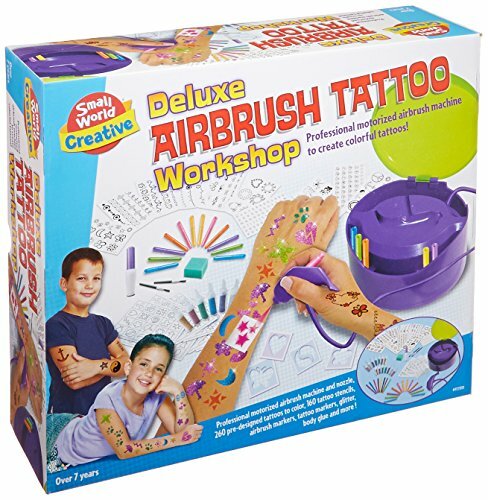 Airbrush kits for kids, make wonderful gifts for any child that has an interest in making interesting art and craft projects. 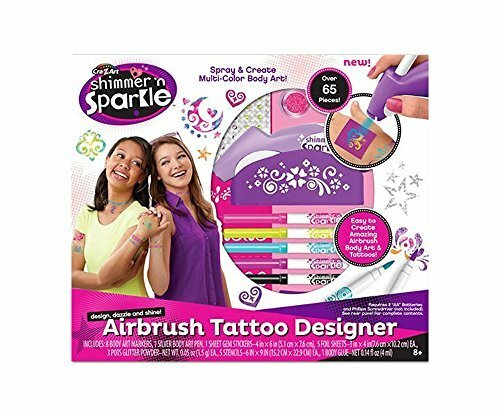 With these kits many crafting projects can be completed from, making designs on T-Shirts to making temporary skin tattoo designs. 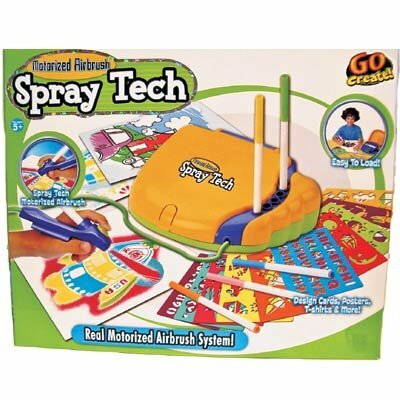 Marker Sprayer that has been added to their impressive lineup. 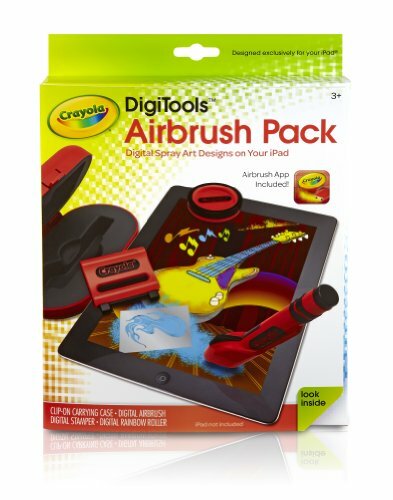 that some beautiful and inventive works of art can be created with these types of tools. friends, or just doodling in free time. 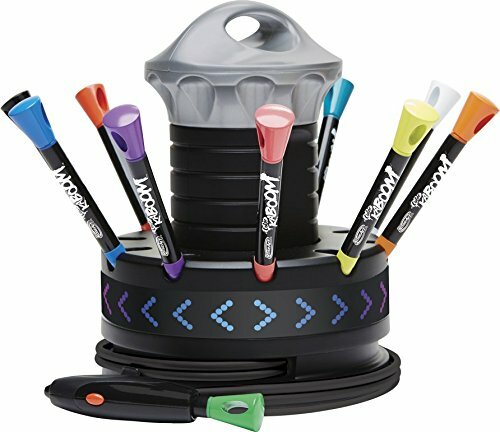 technology and just how easy the color glides onto their paper. number of different designs. One stencil has all the letters of the alphabet and the numbers 0 – 9.
moon. 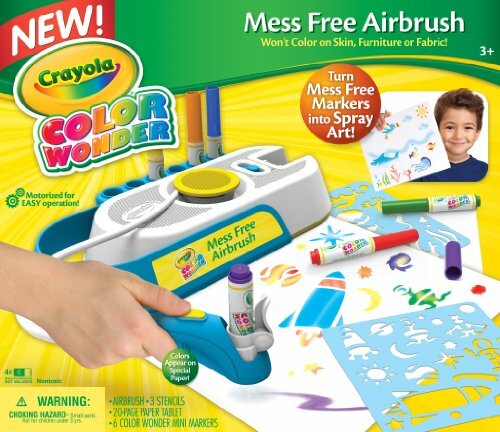 There are 10 pieces of paper included so they can get started right away. 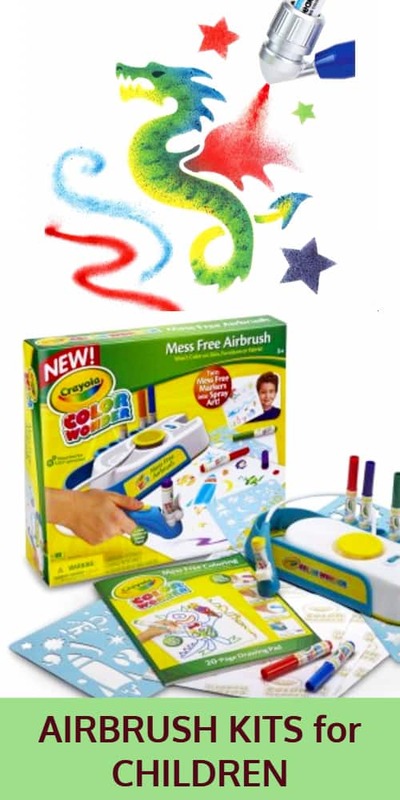 What Age is the Crayola Kids Airbrush Kit Suitable for? The small parts on the machine do provide a choking hazard. 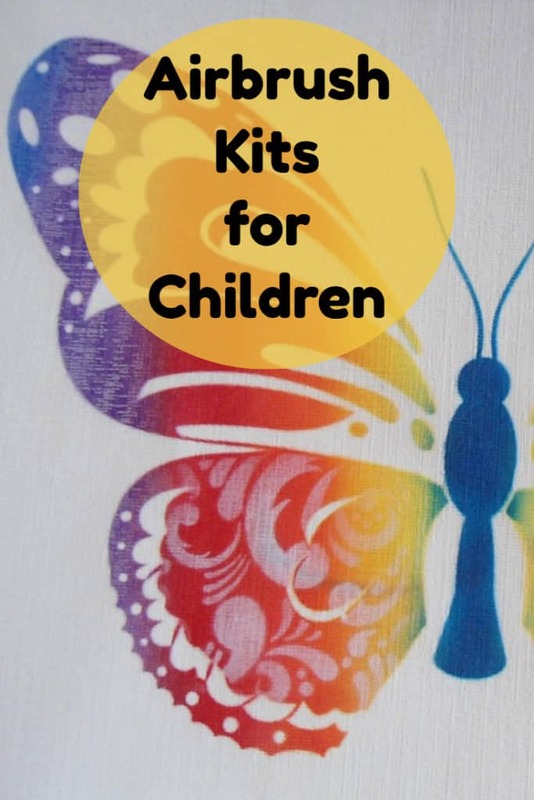 So this art kit should not be given to a child under 3. 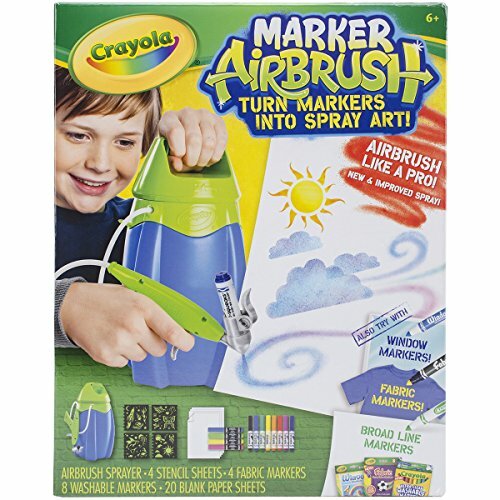 Also, it is not recommended to use other brands of markers with this airbrush sprayer. 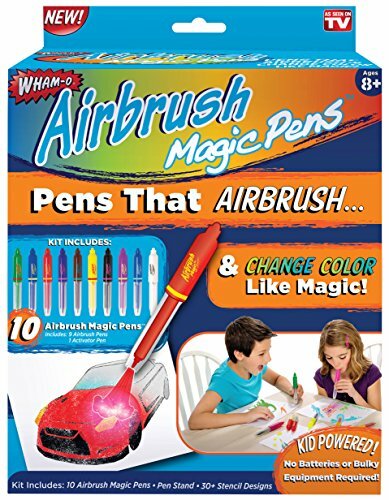 Always monitor small children when operating this device, especially around electrical outlets. 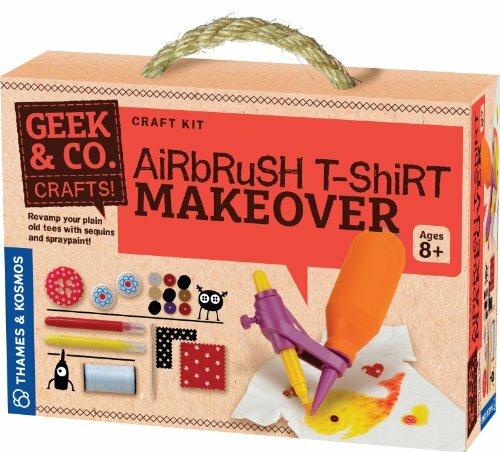 Your child will love this nifty little device, and you will secretly love it too!